Everything is perfect for location, friendly staff and helpful concierge. But for the services satisfaction at the restaurant is poor , the used plate were stalking at my table and the serving staff just walked past our table without noticing it and we have to ask them to clear it. Secondly, Breakfast selection choice is poor, imagine having to eat the same breakfast for 3 days continuously, a slight change in the menu would be highly appreciated. This is not what I expected from Sheraton. Water pressure is very low in the morning and no water from shower after flushing the toilet. It is very frustrating that water getting lower and lower when you are in the midst of shower and still need to rush for meetings. I lived there thrice and this is my most favorite hotel, location is amazing and walking distance food etc and free parking option is good. Love the hotel and very family oriented. Great location and value for money. The creek view club room is excellent. Very good and clean hotel. God breakfast and staff. We left our mobile and we got it back very easily. We were so impressed from the moment we arrived. The Junior Suit gave us access to the club room, breakfast, high tea and happy hour. Everyone was so friendly and helpful. And our room was a good size for us with two small kids. Service staff was very polite, attentive and positive, from the cleaning staff to the counter staff and bell-hop. Very helpful and informed too. Free shuttle service was conveninent. Hotel was really walking distance from the nearest metro. Creek-facing room was very comfortable, with beautiful sunrise view. Will stay here again on my next visit to Dubai. We stayed in room 1127. The room layout was very pleasing,plenty of space. Bathroom was of a very good standard,walk in shower and bath.excellent view of creek. Staff very polite and accommodating .Hotel spotless throughout. Club lounge is great with afternoon sandwiches and cakes. Very pleased with stay and would recommend to anyone visiting Dubia. It's great to get out of the hassle and bustle of downtown Dubia. We were at this hotel only for a short duration but were really impressed by the room, food, architectural design of the hotel. The rooms are huge and have great views of the Creek and The Burj Khalifa. The bed is as comfortable as it could have been. The room had a huge bathroom with great showers. Next time when we visit Dubai, we will definitely consider this hotel again. Very minor comment on food - spread for breakfast was quite substantial but the quality of food & presentation could have been better. I would have given 5/5 for value for money if it was cheaper by US$100. It was an awesome that we even extended our stay in the hotel. They even upgraded us to Sheraton Club Room, which is on the 10th floor. It has an amazing view of Dubai Creek. The beds are so comfortable as well as the feather pillows. I love the raindrop shower!!! One more thing, there is a Nespresso Coffee Machine in the room, my mornings have been taken care of. The staff are very welcoming and they easily recognized the guests staying in the hotel. The hotel location is just perfect because it is near to every place in Dubai and it is very near the airport. 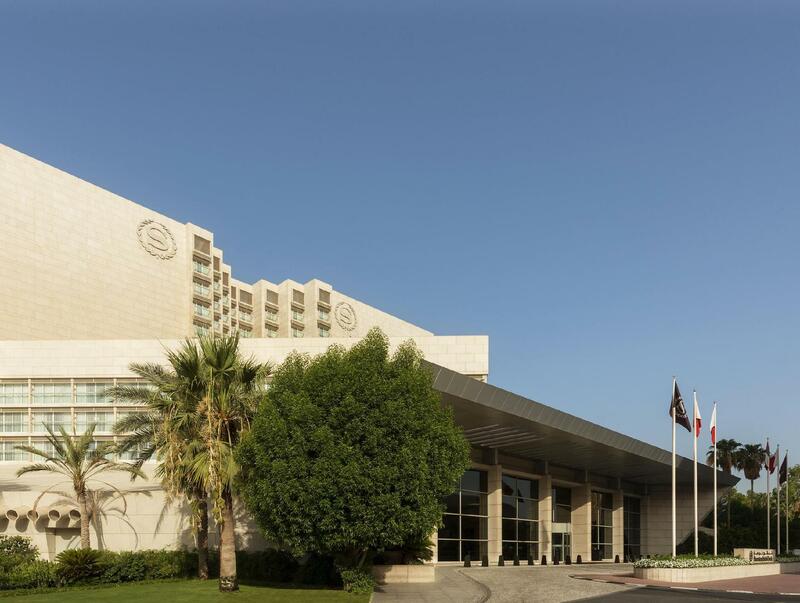 Sheraton Dubai Creek will definitely now our home in Dubai. Had a quick 1 night stay and the room was nice and comfortable. Room service a little average and took 30mins to get change. Staff pleasant. Bar in the hotel was a good place to retreat. Would stay again at the right price. I would choose the Sheraton Dubai Creek over any of the hotels in Jumeirah based on the location. For a weekend break it offered everything we needed and it was very easy to get around by using the local abra service to cross the Creek and the Metro station is only a few minutes away. The staff are also very friendly. Would definitely stay there again. we arrived at midnight after a long fight from Europe, we were greeted with such pleasure, and were very impressed with the service and attentiveness not to mention the grandgeaur of the hotel. after traveling thru Italy and receiving terrible service, and terrible food we were so happy to come to Sheraton and finally get the service we were craving. the food was also amazing and i highly recommend this hotel to anyone, with pleasure. A very good hotel with a good location, close to creek and good restaurants etc Staff were friendly and accommodating. Hotel provided free internet connection a definite plus. Gym facilities were good.The room was modern, had good facilities and the staff were friendly and accommodating. สถานีรถไฟใต้ดิน Union - ระยะ 0.5 กม. น้ำพุดูไบ - ห่างจากที่พัก 8.3 กม.